Join me Saturday May 26, 2018 at the Artfest on the Esplanade from 11-5. This annual event takes place at The Esplanade Park in the City of Pickering. 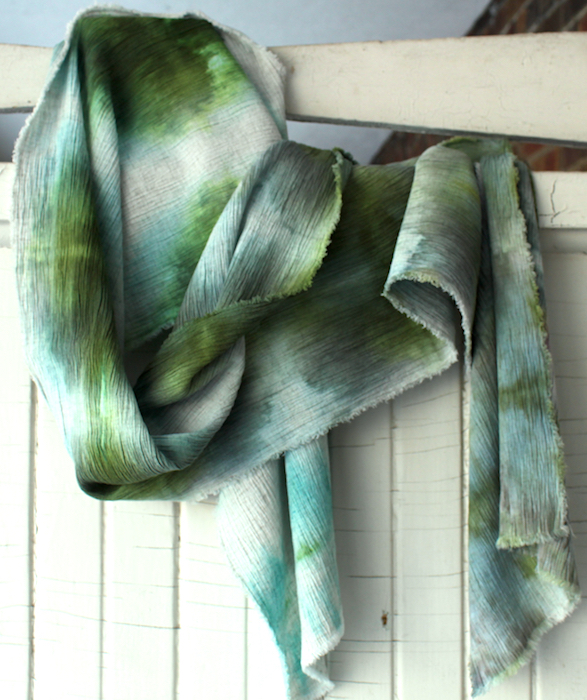 I will have a booth displaying my hand dyed shibori scarves. 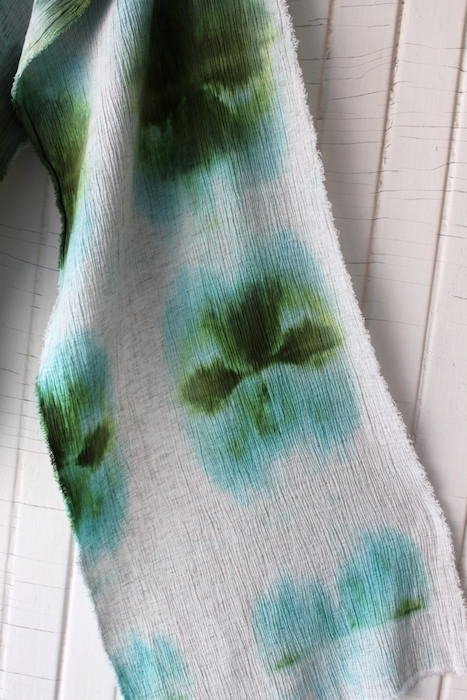 I have kept busy this winter creating a line of unique and beautiful snow dyed scarves. 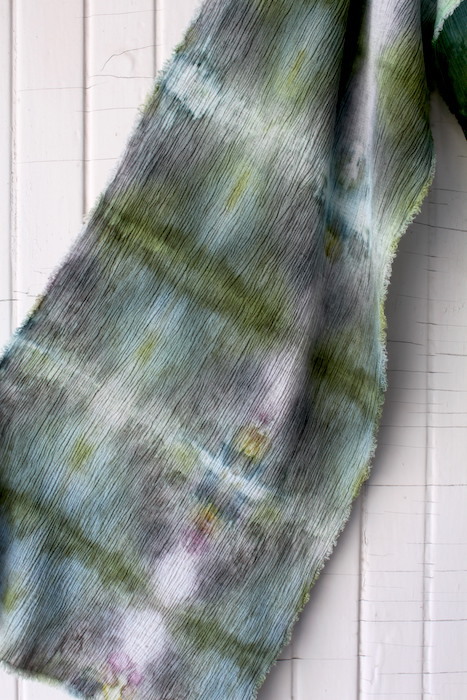 The Canadian snow collection of hand dyed scarves need to be seen in person to appreciate the subtle changes of colour and pattern. No two scarves are the same and no scarf is identical from one end to the other! The Artfest on the Esplanade has partnered with the Lishman family to provide inspirational art, film and sculptures form the late Bill Lishman. The photographs above showing images of a couple of scarves is in reality the photograph of one scarf!. The entire scarf can be seen below. Hope to see you at this fun event. Come by my booth to say hello! Looking forward to spending some time outdoors after a long winter.